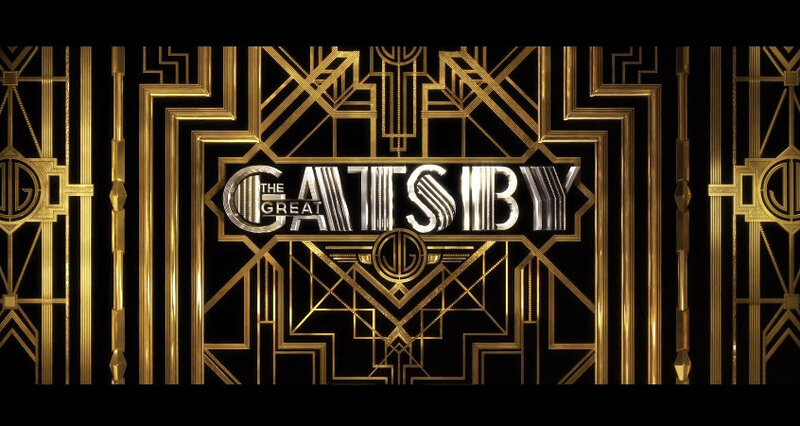 In 2013, when Baz Luhrmann released his adaptation of The Great Gatsby, more than a few people scratched their heads at his choice of soundtrack. Produced by Jay-Z, the album features rap, Fergie, and a U2 cover. Most of it sounds nothing like the 1920s. It led one writer for the music siteNoisey to ask, “Who Let The Great Gatsby Soundtrack Happen?” It isn’t an unreasonable question. Jay-Z and 1920s New York aren’t a natural pair, and the songs don’t always work. (Beyonce and Andre 3000’s butchered version of Amy Winehouse’s “Back to Black” stands out as especially cringe worthy). We can write it off like the writer from Noisey does, suggesting that a big-name blockbuster would obviously have a big-name soundtrack. Fair enough. Yet, even if the soundtrack can be dismissed as a gimmick, it shouldn’t be dismissed entirely. Whether or not the album “works” for the film is a matter of personal taste, but it started conversations about The Great Gatsby that were refreshingly unexpected. It’s tempting to disparage The Great Gatsby for its place in the canon and its continued use in high school curricula. It might also be tempting to set it aside as a literary critic, assuming nothing new can be said of it. But Jay-Z’s soundtrack— and perhaps more importantly, Jay-Z’s involvement—keeps the conversation going and affirms that The Great Gatsby is still worth discussing. We can talk about how we classify art; pairing rap, a form that is still questioned as art, with a classic of literature shows us it’s easy to be patronizing about some forms of art. Or we can talk about the two Jays alongside each other, these two carefully constructed personae from different backgrounds with interesting similarities. If the staunchest opponents to the Jay-Z/Jay Gatsby pairing are willing to suspend disbelief momentarily, the comparisons between the two Jays aren’t entirely far-fetched. Writing for The Daily Beast, Marlow Stern calls Jay-Z “the modern day Gatsby” and offers a chart of 17 similarities between Jay-Z and Gatsby, including “Uses Pseudonym,” “School Dropout,” “Long Island Digs,” and my favorite, “Outrageous Rumor,” comparing Jay-Z as a supposed member of the Illuminati with Gatsby as a German spy in World War I. Supposed membership of the Illuminati aside, Jay-Z represents the sort of thematic concerns in The Great Gatsby that keep it relevant. In the first song on the soundtrack, “100$ Bill,” Jay-Z addresses why we should still care about Gatsby with his lines: “Stock market just crashed . . . History doesn’t repeat itself, it rhymes. 1929 still.” It’s a fitting observation given one of Gatsby’s most notable sentiments: “Can’t repeat the past? . . . Why, of course you can.” We can’t ignore how Jay-Z suggests history is only rhyming rather than repeating, and his influence brings the Gatsby storyline into a new sociopolitical period. Adding his perspective to the narrative and adding new racial considerations, Jay-Z can make twenty-first century readers think again before disregarding Gatsbyas another book by a privileged dead white man. Calling Jay-Z “the modern Gatsby” might be a stretch, but the self-reinvention that both Shawn Carter and James Gatz did points to the quintessential American success story that remains a wildly popular fantasy. It goes without saying that it’s a dream perpetuated in political campaigns and beyond (Listen to Rihanna’s “American Oxygen” or the subsequent X Ambassadors cover for additional confirmation that the Dream and its mythology is alive and well). As Jay-Z embodies the classic success story, rising from housing projects to his current success, he also exemplifies the pratfalls of such a rise. Admittedly, the comparison between the two departs drastically here; Gatsby ends up shot dead in a swimming pool, but Jay-Z must only contend with questions of his authenticity. Of course, in the present moment, Jay-Z’s Gatsby soundtrack has faded from the fore of public consciousness; his name is more likely to come up in relation to his wife Beyonce’s visual albumLemonade than F. Scott Fitzgerald’s canonical text. But high school students taught to dissect the symbolism of the green light, the words “American Dream” beaten over their heads, might be delighted to know they can think of the book’s themes and characters in terms of hip-hop rather than assigned reading. If nothing else, it can be an entertaining way to avoid the assigned reading, much the same way that Leonardo DiCaprio starring in Baz Luhrmann’s 1996 adaptation, Romeo + Juliet, was a fun, imaginative stretch. Bassil, Ryan. “Who Let The Great Gatsby Soundtrack Happen?” Noisey. Vice Media, 16 May 2013. Web. 24 Jun. 2016. Stern, Marlow. “Jay-Z vs. Jay Gatsby: Similarities Between Rapper and ‘The Great Gatsby.’” The Daily Beast. The Daily Beast, 1 May 2013. Web. 24 Jun. 2016. The Great Gatsby. Dir. Baz Luhrmann. Warner Bros., 2013. DVD. ← Does soundbite culture harm research, or help it?